Our conrod department has the knowledge and experience to bring used connecting rods back up to the original manufacturer’s specifications. 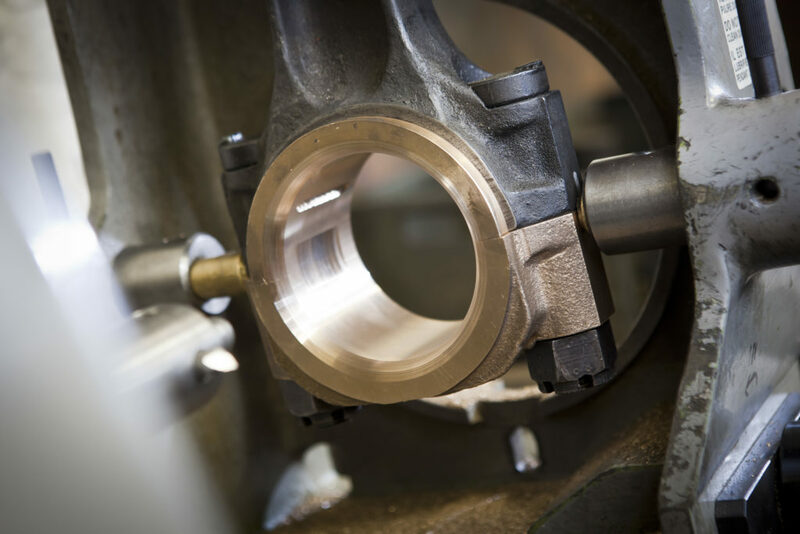 Our specialists carry out conrod repair and conrod resizing on all types of rod, from small car components up to large marine diesel conrods with big-end diameters in excess of 250mm and measuring 1750mm between centres. When in use, the connecting rod is a stressed component, transmitting the power generated in the combustion chamber to the crankshaft. 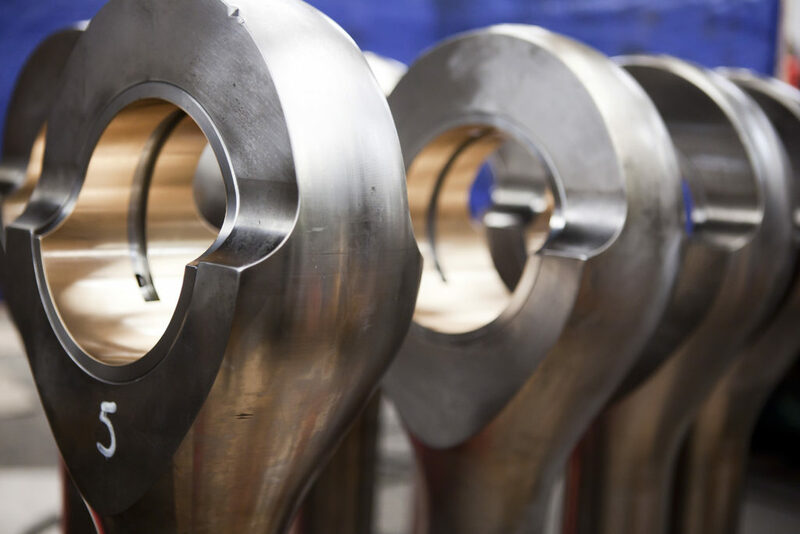 To avoid potentially costly and damaging failures, it’s essential that conrods are remanufactured to as-new standards. Checking for damage and signs of overheating. Big and small end checks for size. Checking for bend and twist. Larger conrods are checked on our CMM machine. Small end bush removal, replacement and re-machining to manufacturer’s specification. Shot peening as per manufacturer’s recommendations.